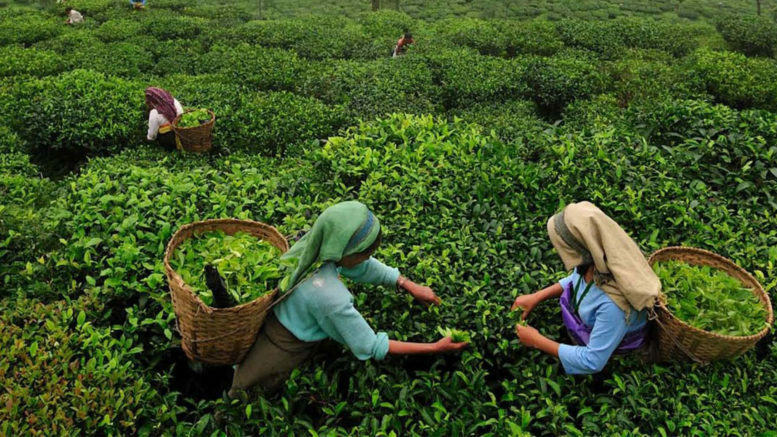 Darjeeling: Tea planters in the hills have said they will not be able to clear bonus dues before June because of loss in production following the 104-day shutdown last year. Workers usually receive the annual bonus of the previous financial year ahead of Durga Puja. The producers of Darjeeling Tea had agreed to pay bonus of the 2016-207 fiscal at 19.75 per cent before the puja last year. Citing the prolonged closure of gardens and subsequent loss in the production, most of the 87 estates in the hills disbursed only 50 per cent of the bonus after the Durga Puja. Sandeep Mukherjee, the principal advisor to the Darjeeling Tea Association (DTA), said on Sunday: "The remaining 50 per cent of the amount was to be paid as per an agreement (with trade unions). However, when estates do not generate revenue, there is no use of going into another agreement that we cannot honour at the moment." The "another agreement" was to deal with the timeframe for the disbursal of the due bonus. The DTA official told The Telegraph that the industry was not in a position to pay the bonus till June this year. "We are committed to paying the bonus at 19.75 per cent but we cannot disburse the entire amount until June. We have lost almost 70 per cent of the production last year." The DTA is the forum of the estates producing Darjeeling Tea. The Darjeeling tea industry had produced 8.13 million kilos of made tea in 2016. However, the figure is unlikely to cross the three million kilo mark in 2017. Plucking of tea leaves has stopped since November-end in the hills. From mid-June to September end, the Darjeeling gardens had zero production because of the 104-day strike enforced by the Gorkha Janmukti Morcha. The first flush plucking, most of which is exported, starts only from February end or early March. "Such is the position of the tea industry that many gardens might start defaulting on wage payment from this month," said Mukherjee. The daily wage of a tea plantation worker in the hills is Rs 132.50. At 19.75 per cent, a worker would get the bonus of around Rs 7000-Rs 8000. Reacting to his statement, Karuna Gurung, the president of the DarjeelingTerai DooarsPlantation Workers' Union with allegiance to the Binay Tamang faction of the Morcha, said: "The Darjeeling planters had been asked to clear the due bonus by January 31. If nothing happens by then, all unions will sit and chalk out the next course of action." #After the strike's withdrawal, the government agreed to pay three months' salaries to teachers and the salaries of almost two months to other government employees in the hills. "As gardens are not clearing the bonus dues, it is obvious that the low income groups have been hit hard by the shutdown," said an observer. Tea planters in the hills have said they will not be able to clear bonus dues before June because of loss in production following the 104-day shutdown last year.